First Silver Quarter of the 2015! I’m considering going back and digging every non iron signal. It wasn’t too trashy with non iron signals and I might find a ring. 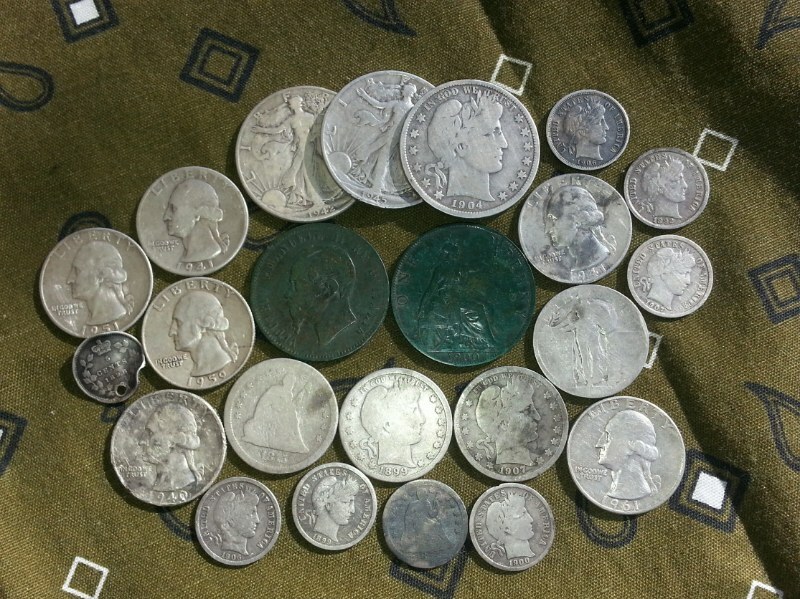 The coins I found there ranged from the 1930’s to 1970’s. Whatever was there had been there a while. I guess I will just have to see and I’ll let you know. Good luck. Well everyone this is my best year yet of two years. I still have a lot to find to finish my “bucket list”, but I have another year to try. I’m going to hunt this New Years Day, but temps in the 30’s with a breeze is going to make it tough. I will write up a year end review later and my experience with the Etrac for those who are interested. I will put my best finds of the year on the main page too. Good luck to everyone in 2015!